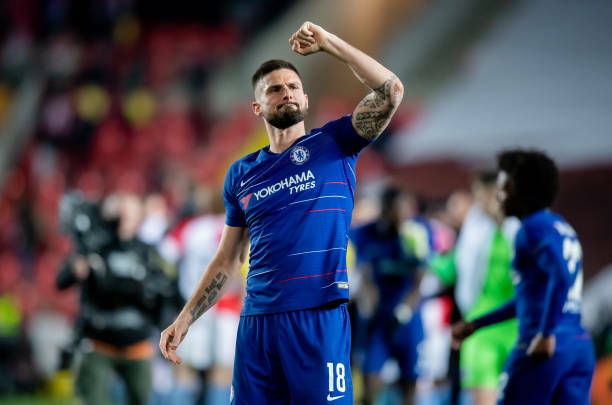 Fenerbahce are not in talks with Chelsea striker Olivier Giroud despite reports in the Turkish media claiming otherwise. A source close to the player revealed to Turkish-Football that the Yellow Canaries made an enquiry but that an offer has not been made and negotiations have not been held. The reports in the Turkish press focused on Giroud being a free agent at the end of the season and claimed sporting director Damien Comolli had held talks with the player’s agent Michael Manuello. The France international could however, end up remaining at Chelsea as the club has an option to extend his contract by an additional season. Giroud’s representatives are confident that the Blues will exercise their option to keep him on considering the transfer ban. The experienced striker is not interested in moving to Turkey or any other country. He is happy in London along with his family who have settled into life in the capital city. Giroud has been targetted by rival London club West Ham but his priority is to stay at Chelsea. The 32-year-old striker joined the Blues on an £18m move from Arsenal in January 2018. The forward has 11 goals and seven assists in 38 appearances for Chelsea in all competitions this season.